Netflix may have established itself as one of the leading streaming websites across the globe, but its recent move may dishearten many fans. Well, Marvel fans, here’s a piece of sad news for you. It seems that Marvel’s long-held collaboration with Netflix now comes to a closure. As per a report published in Deadline, the streaming giant has decided to not only cancel The Punisher in the wake of its second season, but Jessica Jones has also been discontinued as well. Cardi B’s Please Me Did Not Sit Well With Followers, Gets Harshly Slammed for Vulgarity. Netflix recently made it official by releasing a statement to Deadline about the shows’ double cancellation soon after a cryptic post by Jon Bernthal (Frank Castle) bemused the fans as they questioned the status of The Punisher. “Marvel’s The Punisher will not return for a third season on Netflix,” Netflix commented. “Showrunner Steve Lightfoot, the terrific crew, and exceptional cast including star Jon Bernthal, delivered an acclaimed and compelling series for fans, and we are proud to showcase their work on Netflix for years to come." Netflix further confirmed that Jessica Jones has been removed but its third season will still air at a yet-announced date. “In addition, in reviewing our Marvel programming, we have decided that the upcoming third season will also be the final season for Marvel’s Jessica Jones,” Netflix revealed. 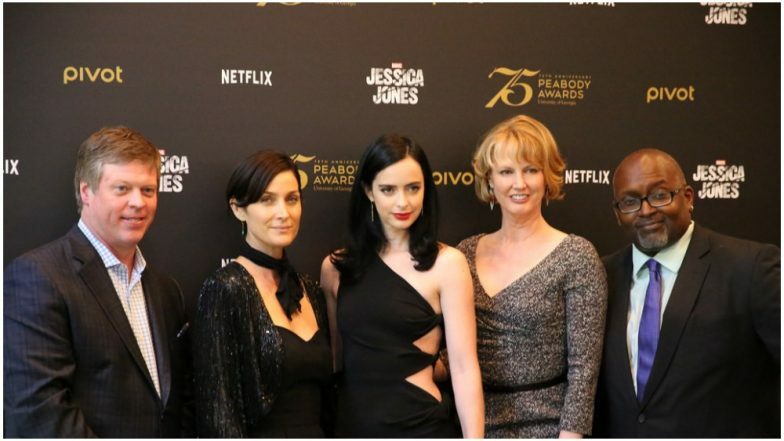 “We are grateful to showrunner Melissa Rosenberg, star Krysten Ritter and the entire cast and crew, for three incredible seasons of this groundbreaking series, which was recognized by the Peabody Awards among many others." Cardi B Back on Instagram, Announces New Single with THIS Grammy Award Winning Artist. According to the report published in Deadline, the decision to discontinue The Punisher was made official after pondering within Netflix. Rumours further state that the series would be cancelled after other Marvel titles like The Defenders, Luke Cage, Iron Fist, and Daredevil are also chopped. “To all who have served. All who know loss. All who love and understand Frank and his pain. It has been an honor to walk in his boots. I’m endlessly grateful to the comic fans and the men and women of the Armed Services and law enforcement community who Frank means so much to. Thank you to the USMC and all the wonderful soldiers who trained me. Go Hard. Be safe,” Bernthal wrote on social media. Now Marvel fans, we understand your dismay, but hold on to your seats, as we hope Netflix will soon make it up for the loss!